Let’s face it folks, with the increasing militarization of our public law enforcement we are now seeing more and more SWAT team style ‘raids’ on homes and businesses. Right, wrong, good, bad or indifferent, it’s a growing trend that unfortunately, I do not see ending but increasing in numbers in the coming months and years. At a highly regarded blog site that I regularly read, someone wrote in about looking for information on how to prepare children for a SWAT team style raid on their organic farm (yes, it happens because of federal regulations, Mr. I HAVE A PEN and a PHONE loves to use regulations to further his Agenda 21 plans and Fascist policies). But this is a side note. It got me thinking about my own situation about 2 ½ years ago which I have blogged about in the past, when State officials decided to raid my house with the SWAT team and FBI, early one morning due to some content that an ex of mine had posted on his facebook page. Mind you, he was no longer living in the house and I was cooperative with the State Police when they first made contact with me regarding my ex and his behavior. I was and still am deeply effected by the SWAT raid on my home in the early hours of a January school morning. My children however, I don’t think they even blinked an eye about it. So, with this person’s question, ‘how do I prepare my children for a SWAT style raid?’ I had to ask myself why my children were completely unaffected by it and why I am still suffering PTSD from it. What is it that happened before the SWAT raid on my home that allowed my children to emerge unscathed? Interestingly enough, about the ONLY answer that I can come up with is that we, as a family had run a few drills involving ‘home invasion’ by strangers with guns in hand. Now this may sound strange to you, but at the time I owned a bailbond business and live in the middle of nowhere where the average LEO response time is at least 10 minutes. My ex, who had experience in these matters, set out to teach us how to respond and ‘what to do’. Kinda like a tornado drill or nowadays, an active shooter drill that they do at schools. Think in those terms. My own children were taught to stay absolutely still unless given a directive by an ADULT when there was a potential threat. We practiced different scenarios on what to do depending upon point of entry and time of day. But the bottom line is and still is: following INSTRUCTIONS given immediately and without question. So they stayed right at the breakfast table without moving, because that is what I told them to do. I had no warning, just the red dots on my chest before being manhandled out of the house and out of sight. Just enough time to tell them to STAY PUT. MY CHILDREN WERE AND ARE USED TO SEEING FIREARMS IN THE HOME. 1)	Get them used to seeing firearms in and around the home. If it is ‘normal’ to see this and be around them, then most likely they won’t freak. 2)	Practice what to do if you experience a home invasion (legal or not). 3)	And I should mention, that if you do have firearms in the home, be safe regarding them. But at some point, as a LEO told me, they need to understand how to use them and what they do, seems to prevent accidental shootings in the home and takes away the ‘fun’ and ‘I am not allowed to do this’ factor. These three things will make it easier for you and them. You practice fire drills, tornado drills, and at school they practice ‘active shooter’ drills, why NOT practice home invasion? It’s a growing trend, both legally and illegally so it makes sense to do this. What you do and how you do this is up to you and your unique home situation, but increasingly, home invasions are becoming common place. So, what’s your plan? Next, I would like to address the otherside of this equation. 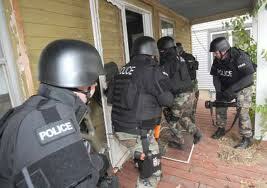 Having an understanding myself of the legal system and the steps that have to be taken before action can be taken (though more and more it seems like shock and awe is standard operating procedure) I do KNOW for a fact, that you will have contact with some form of law enforcement BEFORE a SWAT style raid occurs. There’s your tip off, your ‘advanced’ warning. If state police, federal agents or regulatory agents are knocking at your door then your alarm bells need to be going off and my advice, at least for the moment is to be polite, answer their questions and do NOT BE HOSTILE. Cooperate and be beyond reasonable with them. If you appear to be a threat then they will react to you as a threat and their law enforcement training now demands overwhelming force to neutralize a potential threat to THEM. This includes your facebook posts, emails, etc. While it is okay to voice your opinions make sure you are not making threats, or even veiled threats. Trust me when I tell you, they do their homework on threat assessment (ie your potential for violence). In my case it wasn’t about my own personal threat to them, but my ex’s potential for violence and I got painted with the same brush. So its not just you, but who you associate with, your family and those who may or may not be there at the time. Much can be avoided with clear communication and cooperation. Yes, it can be a hassle boarding on pure harassment and irrationality on their part, but if you want to head off a SWAT style raid, then do all you can to avoid it. Next, lets talk about home/land security. Do you have motion detectors? Security lights? Cameras? How about a mouthy dog who will alert you if something or someone who doesn’t belong there? You can go as far as you want in this matter including denial of entry type setups. But the main thing is this: you are more likely to face in this day and age a true illegal home invasion than a legal one and THIS is where you should aim your security at. But it will also come in handy ‘just in case’. The point behind all of this is to give you, the adult a heads up and a few precious moments to make a decision. Unfortunately, many people have been killed in their homes because they simply did NOT know who or what was coming in and reacted in such a manner that put themselves and their family in harms way. And finally, lets talk frankly, the thought that if you are doing ‘nothing’ wrong will keep you ‘safe’ needs to go out the door. Unfortunately this mindset gets people killed. Because you feel ‘safe’ because you are doing nothing wrong, therefore there is NO WAY they would come knocking on your door ergo something happens and you pull out your firearm because only someone intent on doing you harm would kick your door in. WRONG. Go back to the above statements and understand one thing, shock and awe works for them, otherwise they wouldn’t do it. Is it potentially used wrongly? Yes, but on the otherhand see their side of it. Most LEO’s are just following orders and commands from higher ups who most likely will forget to mention that you were cooperative, etc. All they know is they are there and wouldn’t be there unless someone knew you could be a threat. Just saying…that is how it is, right or wrong. Better to argue in court and go broke than into the ground. On the otherhand, illegal activity of any sort can and will get you into trouble. Stay on this side of the line people. If you have had contact with law enforcement or a regulatory agent, then they perceive something is going on and if you are belligerent, uncooperative, etc. then you become a threat. Regulations carry the force of law and while I in no way support even half of the ‘regulations’ that are place, at this moment in time, tis better to argue in court. GET IT? Tis better to let them do their job, see you are not a threat and then sue their butts off later, than to fight back when everyone is running on adrenaline. Been there, done that, in the heat of the moment, YOU need to be running your own threat assessment. Which is why I make it a point to suggest that you look for tip offs and get in place an early warning system so you can differentiate between an illegal threat and law enforcement threat. That way, you can make an informed and appropriate decision on ‘what to do’ when the invasion comes. As a side note, in my own experience, those who entered my home unexpectedly that weekday morning were very professional. While I am still angry and I am personally still dealing with their actions (which I did receive an apology for later on), I can say that they treated my children very well. One agent even sat down with my girls and painted finger nails with them! After I got a grip and figured out what was going on I was then able to do what was necessary in dealing with them being there and my own calm in the moment allowed my own children to feel safe and relaxed which allowed everyone else to feel safe and relaxed. Seriously, its up to you how you want things to turn out. Home security first and foremost, situational awareness, making sure your children are NOT scared of firearms in the home, practicing ‘active shooter’ drills and attitude will determine the outcome. Unfortunately we no longer live in Camelot and we aren’t in Kansas anymore. While I see the over reaction and mistakes that get made, I have come to understand that I (YOU) truly have control in whether or not you become a victim and in turn, your children. Stay safe and aware and prepared. 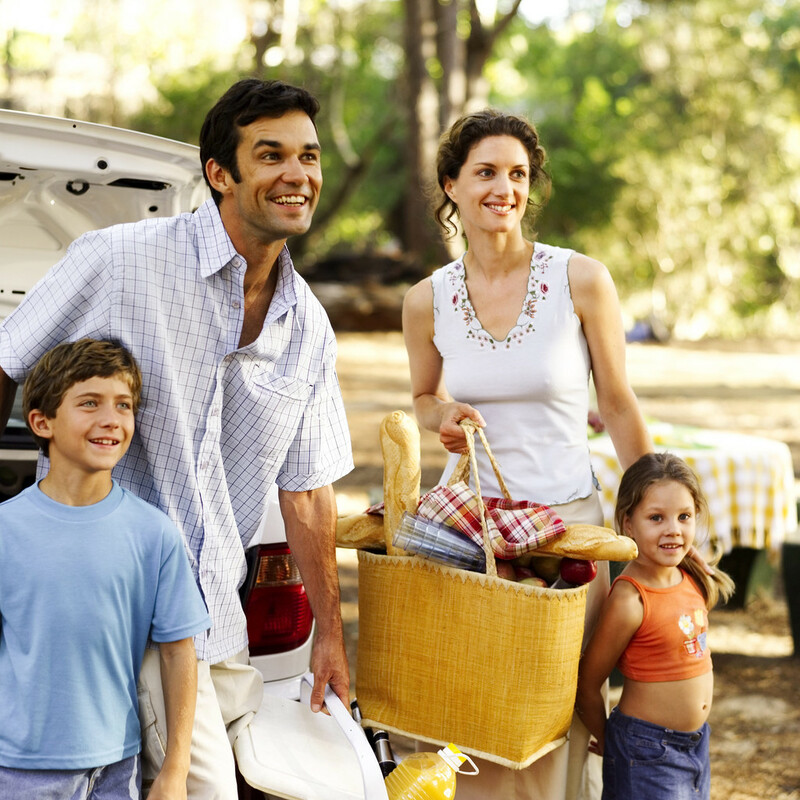 One thing that I am always on the look out for is a GREAT deal…after all, what mom who is preparing for SHTF wouldn’t be? Its more important than ever to stretch the dollar, make the most of what you have and get ready for ever increasing self-reliance. So, lo and behold, I found strawberries (organic) at the local grocery store today. On sale by the pound, many on the point of being overripe (but those are the BEST aren’t they?) and I just couldn’t help myself. Had to buy what I could reasonably manage to eat and dry in the next few days. My family loves to eat them enough that I put in about 100 bare root strawberry plants this year, but being small they only produced a handful of small (but sweet) berries this year. Made a mistake though, didn’t get everbearing plants so right now the plants are growing but no fruit for the rest of the summer…oh well, next year unless I can find some everbearing plants on eBay in a couple of weeks. Last years plants were eatten by my greenie Pitbull (the same one who over the past couple of weeks has somehow managed to get 1/2 of my very small peach crop inspite of the fence)…trial and error..yes, pitbulls like to eat plants…especially tasty ones. Making do for now with my great deal at the store and will be drying them tonight and tomorrow to go with my growing collection of dehydrated foods. Dehydrated strawberries are a great addition to cereal and wheat berries btw. You can also rehydrate them and add to bread or blend into a smoothie at a later date..and the great thing about this is that I saved $$ Am playing around with making my own sorbet too perhaps instead of feeding my children the stuff from the store. A bit of time invested would be well worth the cost savings and knowing that the food is good. Cancer: Vitamin-C, Folate and Anthocyanin, Quercetin and Kaempferol (few of the many Flavonoids in strawberries which possess excellent anti oxidant and anti carcinogenic properties) together form an excellent team to fight cancer and tumors. 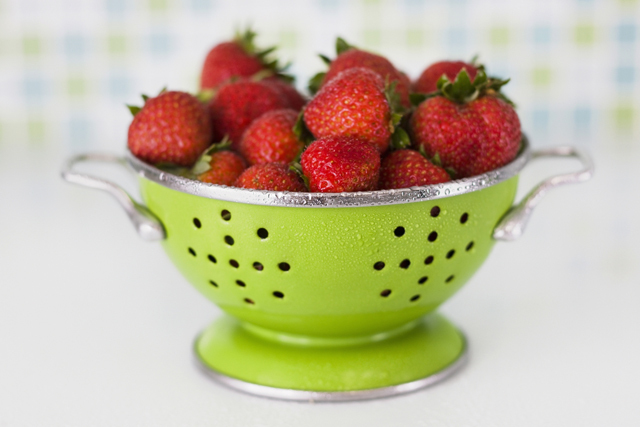 A daily intake of strawberries is seen to have remarkably brought down the growth of cancerous cells. So the next time that you are in the store and see a fruit or veggie that your family loves to eat at an awesome price, why not go ahead and pick it up? Break out your dehydrator, trusty mason jars and 02 packets and save yourself a buck or two down the road and still enjoy the fruit and veggies? Actually, in my house they are munched down on by themselves dried…much better than candy (sweeter) and no mess, no fuss. And be sure to get organic strawberries to avoid high levels of pesticides that can be found in much of the ‘regular’ strawberries. Just chunk them up (I like to make them about 1/3 of an inch in size so they don’t fall through the screen plate) and then spread evenly around the tray and let it go until nice and crunchy! Here’s to happy eatting the fruit of summer…strawberries…and helping the health of my family on the cheap. When you are pregnant with your child you plan. You start thinking of all the things you will need for the precious child that you will be having soon in your life and next thing you know…you are getting PREPARED! You buy the crib, the car seat, clothing, diapers and any number of a million and one zillion things. You are getting ready for a life altering event…the end of the world as you know it right now…the birth of your child. You pick the hospital, your doctor, make arrangements ‘just in case’ this or that happens, you get your family involved (or not). You start making plans for what you will and won’t do after your baby is born, breast feeding or bottle feeding? Stay home or go back to work or even work from home? Daycare? All these decisions are called making plans which is part of you getting prepared for the arrival of your little one. Preparedness can be so much work! But you know these things that you are prepping for make a good parent…planning, preparing, getting things… being ready for him or her when they arrive and your world changes. Next, after the arrival of your new baby you realize just how much you don’t know about this thing called ‘being a good parent’ so you start asking question and doing more preparing for when they begin to sit up, eat solid foods, crawl, walk, talk. You have to get your house ready after all don’t you? Not to mention get all the information you can lay your hands on so that you can make informed and sound decisions about how you want to raise your child…this is all part of being a good parent. It just goes on and on this getting prepared for your child and it changes, evolves overtime to fit, upon demand, the circumstances and stages that you see coming down the road for your family as your baby grows and circumstances change. A good parent has…foresight, knowledge, leadership skills and techniques, tactics and supplies on hand for whatever may come at any given moment and sometimes, in a strange or odd moment…wisdom from past mistakes…Sometimes things just take you by surprise…can you say forgetting the diaper bag anyone? (this why you put a couple of diapers under the drivers seat)…or a fall or accident (speed dial and first aid kit) or someone notices that you are busy paying attention to something else and sticks the half chewed dog biscuit in the dvd player, managing to close it too…(say bad language and a screw driver when you find it later that night) but that is okay, you have thought things out enough to feel confident that when it happens you handle it with grace and ease (or freak out first, quickly regaining a shred of self-control). But my whole point is this…you planned and prepared yourself into being a good parent! So, I, ever wanting to be a good parent have just taken things a bit further…preparedness is being a good parent. Being ready for when the crap hits the fan, in whatever form it may come to your door step, (think going into labor!) is being a good parent. Having things on hand ‘just in case’ or for an emergency, is being a good parent (extra this or that, tools) and most certainly having a means to protect your family is being a good parent. It might seem a little strange at first, this new aspect of being a good parent, simply because you haven’t do so before. But that’s okay, you’ll get over it. You will gain a new sense of pride and confidence (hmm sounds just like what you feel as you get the grove of being a good parent!) as time goes by. You will find that you are less anxious and worried about the future. You will find that this new aspect of being a good parent will actually help you become a better parent as you gain skills in being self-reliant that will be passed onto your child…indeed, preparedness and parenting go hand in hand…and it is all part of the job.